What is it about the state fair? Is it the scent of fried everything in the air? Fried pickles, fried twinkies, fried spaghetti, fried people? Is it the people themselves – baked by a sweltering sun into wearing questionable cut-offs, ill-advised half shirts, mesh tee shirts over bodies that more closely resemble a wookie or a yeti? Is it the long ambling walks to take in all the sights and sounds? Is it the tiny baby animals and the scent of the livestock pens? Is it the carnival with its jangling slightly dubious looking rides that make you wonder if the attendant should pass out insurance waivers before taking your ticket? Is it the clashing sounds of various bands competing for noise with the bursting, blaring, bleating carnival rides? 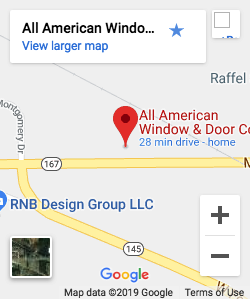 The fact of the matter is, it’s all of those things and we here at All American Window and Door wouldn’t miss it for the world. This marks our (we stopped counting) year at the fair. We go, of course, to interact with our customers, find more customers, find out what people really think and feel. But, just being honest here, we go because we love the fair. There’s no place like it and though it is occasionally like a questionable gumbo made from noise, fried jalapenos, laffy taffy and cotton candy, there is no place better to experience the state than its fair. The little baby animals don’t hurt either. How can you resist the adorable little piglets? You can’t. Just admit it. So… we’re at the state fair this week. Come visit us. We would love to chat. Show us your proudest questionable tattoo decision. Let us know which fried delicacy you’ve sampled. Come fill out an estimate form. And take it all in in all of its wonderous state fairy glory: from the giant whirlpool directly in front of our booth to the strange blinking remote control UFO’s that periodically fly overhead. Take it all in while you say hi to your favorite Window and Door Company and its people. Did i mention, not far away is Amateur Wrestling? Now just how could you miss it? Deep Fried Everything, UFO’s, questionable tattoos, little piglets, mesh shirts on wookies… Answer: You cannot miss this. And… of course… there are the cream puffs.